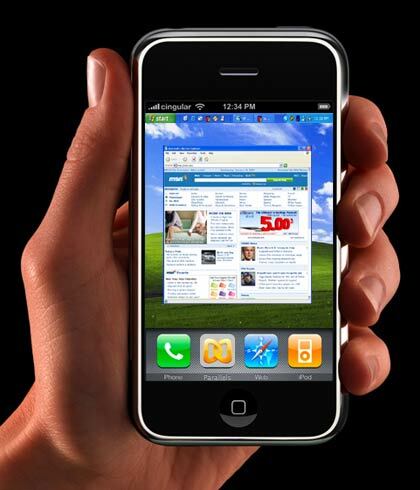 The use of iPhone is becoming very popular among people. But some of them are used to computer and while operating their personal computer they does not want to get disturbed by their iPhone. Hence for such people there is an iPhone application known as Veency using which they can control their iPhone from their system. Using the system we can write notes, text messages, edit calendar and see incoming calls. The original installer on our phone has to be replaced by the Cydia installer. This has to be used for installing the Veency application. The iPhone installer does not allow certain applications to install. Hence we go for this Cydia installer which over takes the iPhone installer. Using this Cydia installer we can download the required applications and install them. After launching the Cydia installer we have to search for Veency by typing it in the search bar. When we find it we have to select veency and install it in our iPhone. We must select the option saying “Reset Springboard” after the completion of the installation. After installing the required applications we must do some changes in the settings of our iPhone. We have to switch to the menu and click on the settings option. We have to select the option stating Wi-Fi in the settings panel. When it opens we have to go to the network and tap on the right side pointing blue arrow. This expands the option. To use the Veency we have to get our static IP address. Under the heading IP address we can find three buttons stating static, DHCP and BOOTP. We have to click on static. And IP address will be displayed we have to note it down. Again we have to click on the settings and click on the option saying “auto lock”. We have to change the period into never as we are going to use this set up for a long period of time. As we are going to operate the iPhone from our computer we have to download and install and application in the computer. It is known as the virtual network computing application or the VNC. It is usually used to control a computer from another computer. Here in our case we are controlling an iPhone. For a computer with Windows OS we can download the VNC applications such as TightVNC and UltaVNC. For MAC computer we can use the chicken of the VNC. After installing the application we have to run the application. When is application runs we have to enter the IP addressed of our iPhone to the field named Host in the VNC application and we have to tap the button saying connect. After this we have to check in our iPhone in which there would be a request from our computer for connection. In the iPhone it would ask you whether to reject or accept the remote access. We must tap the button saying accept and then get back to our computer. After this we have established connection between the iPhone and the computer and we can see the iPhone screen in the computer which we can operate with help of mouse and keyboard.